Lawrie Demorest is a first chair trial lawyer with over thirty years’ experience which includes leading national trial and litigation teams in mass torts and high-exposure single plaintiff claims. 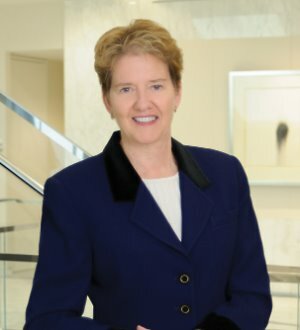 She defends toxic tort, medical device, pharmaceutical and consumer products cases around the country, all of which involve in-depth work with expert witnesses in various fields of science and medicine. Lawrie has tried over 60 cases across the country with a strong success record, leading “virtual” trial teams in a number of the U.S. “judicial hellholes.” Because of her trial experience, and her ability to translate difficult concepts of science and medicine to juries, she has regularly been retained as lead trial counsel shortly before the start of trial. Lawrie’s representation encompasses prelitigation counseling, crisis management, developing and implementing strategies to shut down pending and potential individual and class actions, managing local counsel and mass trial dockets, and effecting settlements through various forms of alternative dispute resolution and non-litigation solutions. Lawrie is co-leader of Alston & Bird’s Toxic Tort practice and is listed in The Best Lawyers in America in the area of product liability litigation. She is former co-chair of the Board of Directors of the Human Rights Campaign and formerly served on the Board of Directors of the National LGBT Bar Foundation.